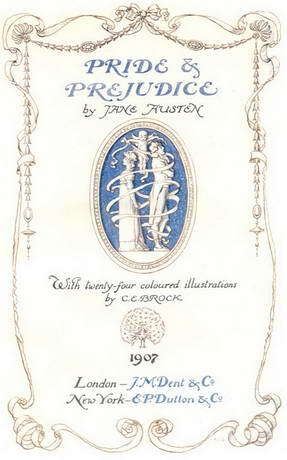 Pride and Prejudice is the most famous of Jane Austen’s novels, and its opening is one of the most famous lines in English literature - “It is a truth universally acknowledged, that a single man in possession of a good fortune, must be in want of a wife.” Its manuscript was first written between 1796 and 1797, and was initially called First Impressions, but was never published under that title. Following revisions it was published on 28 January 1813 by the same Mr. Egerton of the Military Library, Whitehall, who had brought out Sense and Sensibility. Like both its predecessor and Northanger Abbey, it was written at Steventon Rectory.